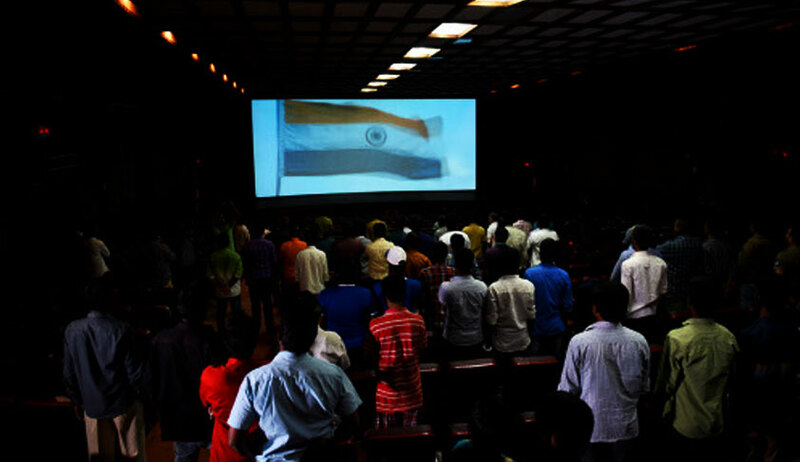 In a major U-turn on National anthem, the Centre has asked the Supreme Court to modify its November 30, 2016 order making it mandatory for all cinema halls to play the anthem during which cine-goers were to stand up in attention and urged it to restore it to the earlier position. This, according to an affidavit filed by the Home Ministry will hold till an inter-ministerial committed constituted by the government comes out with its recommendations within six months. “The aforesaid committee has been constituted to look into all aspects relating to the playing or singing of the national anthem upon consideration of the recommendations made by the committee, the government may bring out the requisite notification or circular or rules in this regard, if required. This Hon’ble court may consider the restoration of status quo ante until then, ie restoration of the position as it stood before the order passed by this Honble court on 30.11.2016 with regard to direction (d) in the said order to the extent that it mandates the playing of the national anthem in all cinemas before the feature film starts”, said the affidavit filed by Deepak Kumar , Under Secretary to the Government of India. “The framing of guidelines describing circumstances and occasion on which national anthem is to be played or sung and observance of proper decorum on such occasions, require extensive consultations with various ministries. It is submitted that the government has decided to constitute an inter-ministerial committee”, the affidavit said. The affidavit said the committee will consider wide ranging issues relating to the national anthem and has to have extensive discussions adding the committee will give its recommendations in this regard in six months time from the date of its constitution. The case Shyam Narayan Chouksey Vs Union of India is coming up before a bench headed by Chief Justice Dipak Misra tomorrow during which the affidavit is likely to be taken up. On October 23 last year, the case in which the Supreme Court had almost a year ago ruled that cine-goers must stand up for national anthem to show their “respect for motherland” saw a major twist with serious differences emerging between the Chief Justice who authored the order and the judge who shared the bench with him Openly differing with CJI Dipak Misra and opposing his November 30, 2016 order, Justice D Y Chandrachud said “one need not wear patriotism on his sleeve” and people went to movie hall for undiluted entertainment. He also said a person who does not stand up or not sing the anthem should also not be seen as an anti-national. Eventually the bench decided that the matter be best left to the government.